Dome over the Grand Staircase. Foreign Office, Whitehall. Clayton and Bell. 1861-68. 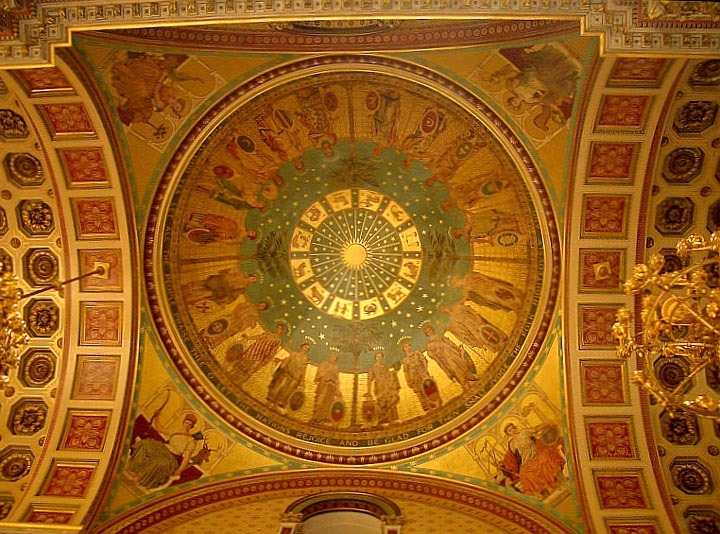 The dome above the three-storey high Grand Staircase is "decorated by female figures representing countries which had diplomatic relations with Great Britain in the 1860s. The dome and the stencilled walls and ceilings were also the work of Clayton and Bell" (9). The Foreign and Commonwealth Office: History, supplied by the Office on London's Open Day, 17 September 2006.